SEGA has revealed the Early Adopter Bonus, special editions, and a launch date for Total War: Three Kingdoms. 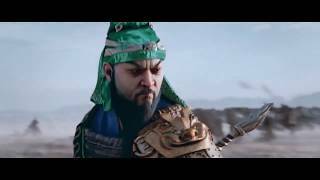 The next historical title in the Total War strategy series, and the first to explore ancient China as a theatre of conflict, will launch on March 7th, 2019. 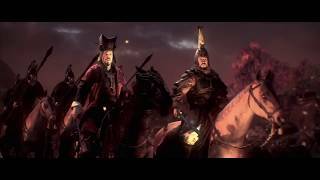 Those who pre-order will get the Early Adopter bonus: The Yellow Turban Rebellion, a Warlord Pack DLC, introducing three new playable Warlords for the Grand Campaign. The Warlord Pack also introduces three new hero classes – Scholars, Healers, and Veterans – plus new character virtues and skills built around the three tenets of Taoism: Frugality, Compassion, and Humility. At release there will be three versions of the game - the digital, limited and collector's editions. The Collector's Edition (€149.99) will be produced in a single, exclusive production run. It comes in a presentation chest, featuring vibrant red colouring and adorned with a Chinese stamp. 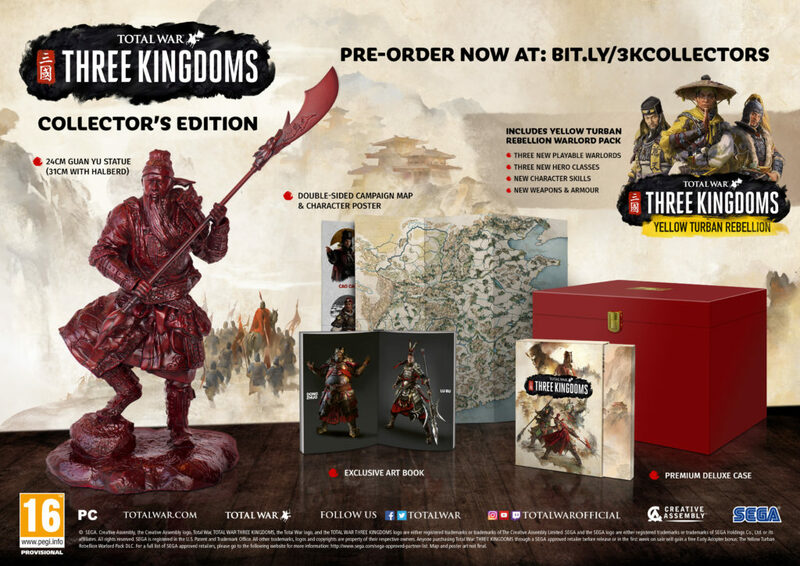 Contained within is a 24cm Guan Yu Statue, exclusive Art Book, Limited-Edition Case, and double-sided poster featuring campaign map & Warlord poster, and the Yellow Turban Rebellion Warlord Pack DLC. A Limited Edition will also be available at select retailers. This version includes the premium Limited Edition case and double-sided map and Warlord poster detailed above in the Collector's Edition, and the Warlord Pack DLC. 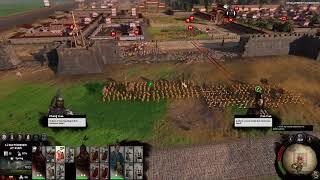 Total War: Three Kingdoms will be released for PC. There are currently 0 members and 127 guests on the website right now.